The hotel resort Buergenstock located at 847 meters a.s.l. has been a popular vacation spot since 1872. Its attractiveness was enhanced by the spectacular path along the vertical rock face and by an outdoor open lift. To this day the lift and the path have lost none of their attraction. The new lift was built and opened by the Schindler Group. 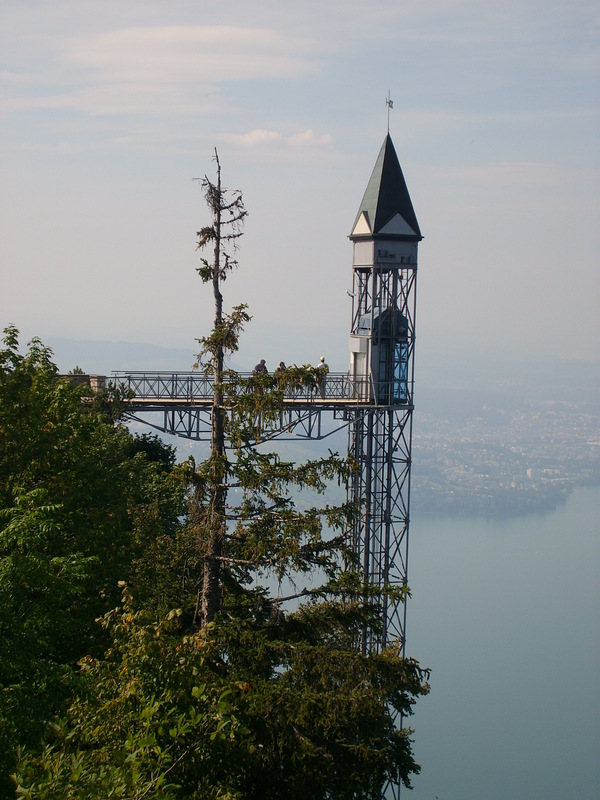 It whisks passengers 153 meters up to the summit of the Hammetschwand in less than one minute. It was regarded as a pioneering feat in those days and is still a record holder, since the Hammetschwand lift is holding the number one position as Europe’s highest exterior lift. Before 1935, it had a speed of one meter per second and one could enjoy nearly three minutes of travel. Its cab consisted of wood fitted with a zinc sheet and could carry 8 passengers. During the upgrade of 1935 the speed was increased to 2.7 meters per second and the cab was replaced with one of a light metal construction. It was not only the highest public external elevator of Europe, but also the fastest elevator of the world. 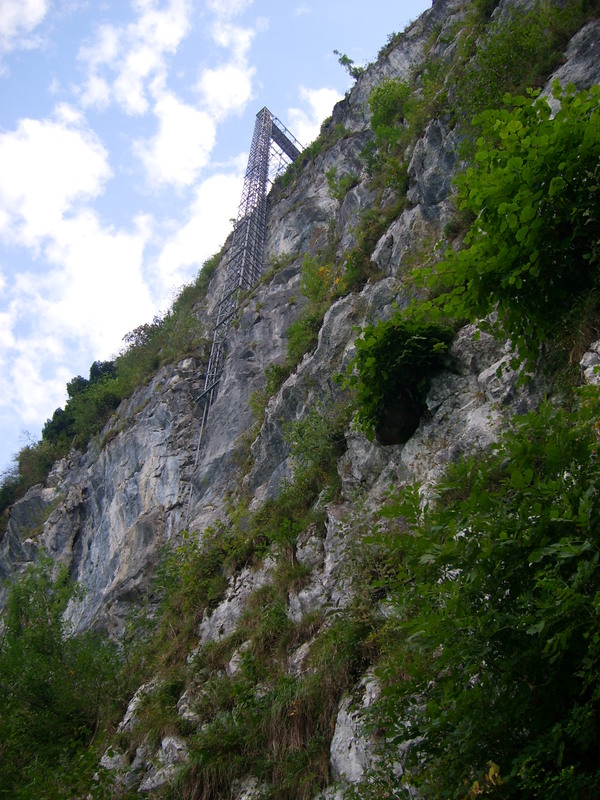 The filigrain, metal lattice tower has a surface area of 2×2 meters, is 118 meters high and is located on a 44 meter high rock pit. The elevator entrance, the engine room and the first 14 meters of this pit are completely on the inside of the mountain, while during the next 30 meters it elevates with a full view of the Lake of Lucerne. The whole trip lasts approximately 50 seconds. At the top station of Hammetschwand (1132 meters a.s.l. ), there are breathtaking views of the Lake of Lucerne and the Alps.